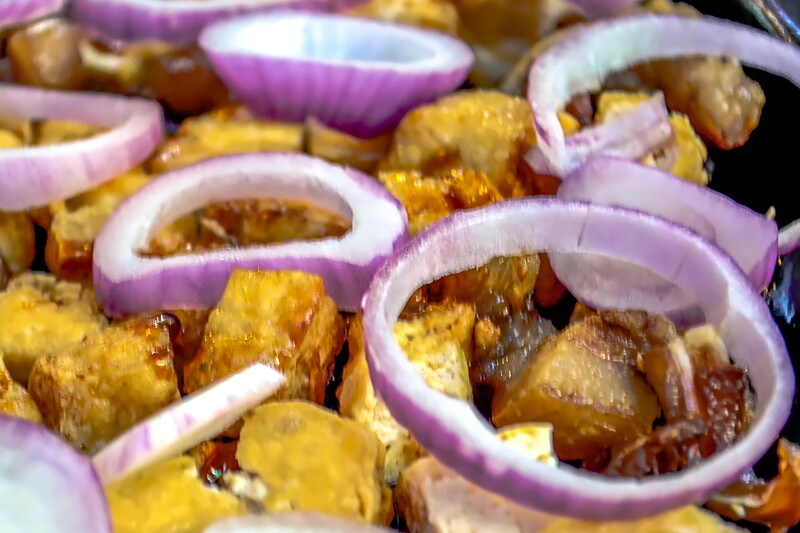 It’s the well-loved tokwa’t baboy served like never before. The sizzling tokwa’t baboy gets a make-over and Adam’s Tapsizz’s prepares this to sizzle your appetite. It’s crispy fried tofu, pork and onions served on a sizzling plate with special soy-vinegar sauce on the side. This is just one of the many dishes at Adam’s Tapsizz’s where you can expect sizzling silog meals. Silog is short for sinangag (garlic rice) and itlog (egg). You can also try their Sizzling Bistek Tagalog, the traditional Bistek Tagalog served on a sizzling plate with special sauce. Bistek is short for beef steak but made more affordable by tweaking it — like the beef that can sometimes be replaced by pork, with flavors adjusted to suit the Tagalog preference by cooking the meat with onions, soy sauce and calamansi.